I’ll be out for the rest of the week, but I’ll leave you with some pics of the lettuce that we harvested from the garden this week. Still my favorite lettuce of the year. This ‘Red Cross’ butterhead is awesome! 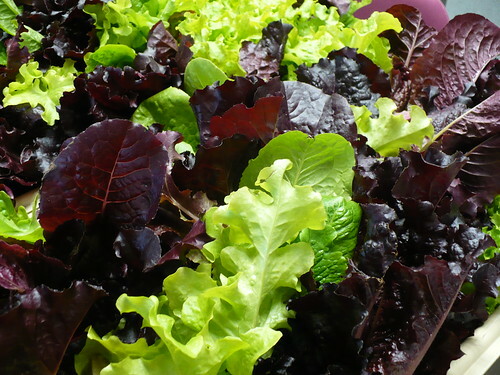 We had two trays of beautiful mixed lettuces that our MG advisory board took home. Yum! No, this isn’t lettuce. Good job! 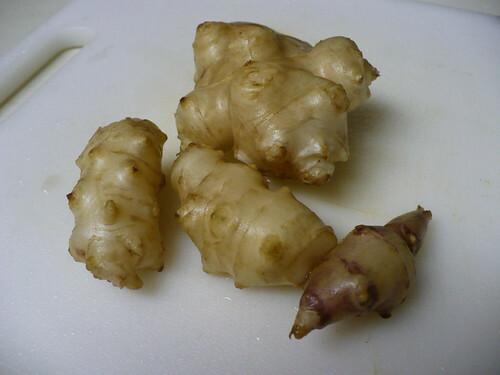 These are some Jerusalem artichokes that we found at the Kansas Grown! Farmers Market winter market last Saturday. These made a nice topping for a salad. The rest will probably get baked or roasted later this week. Yum! Can you believe that it’s the weekend before Thanksgiving? I won’t make any promises about posting next week, but maybe I’ll post a recipe or something if I get to it. Just what you need, more food during Thanksgiving! I’m not sure if this ‘Toy Choi’ bok choy is bolting because of the crazy weather changes or if it got to mature size and we didn’t harvest it, so it bolted. 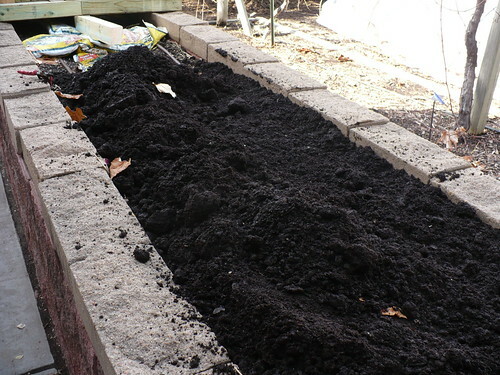 We were donated about 30 bags of duck poop compost, so that got emptied into our wheelchair height garden, since the soil level had dropped about 6 inches this summer. We make compost too, but we don’t have enough bins to meet all of our compost needs every time! 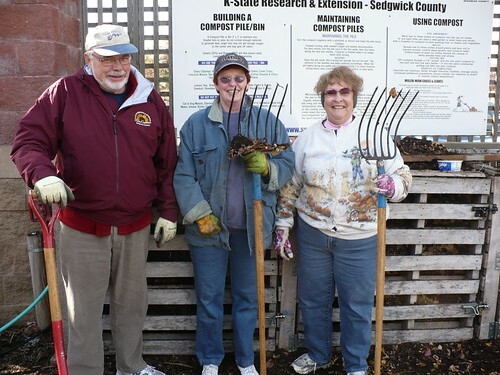 Speaking of compost, some of the Master Gardeners were out in the garden this morning turning the compost. They look like they were working hard! One of the few things in the garden that is still looking great after several colder days and nights is the Texas Tarragon. It was kind of hidden amongst the basil for part of the summer, but now it is really showing off. The numbers are pretty random right now. I know part of it is because the wind loosens the row covers a bit, so they aren’t as airtight overnight as they maybe should be to keep the temps higher. That being said, we’re having trouble keeping the plastic bed appropriately vented so it doesn’t get scorchingly hot during midday on sunny days. This next Saturday is an important day for us here in south central Kansas. Trying to guess what it is? November 20th is the day when we drop down to 10 hours of sunlight (or less) for then next 3 months. I know, that’s depressing, isn’t it? We won’t be back up to 10 hours of daylight until about February 20th. What’s important about those two dates is how they affect our fall/winter garden plants. Our fall vegetables’ growth will slow down to a mere crawl (growth has already slowed way down) for the next 3 months. Anything that is still in the garden should meet a couple of criteria. 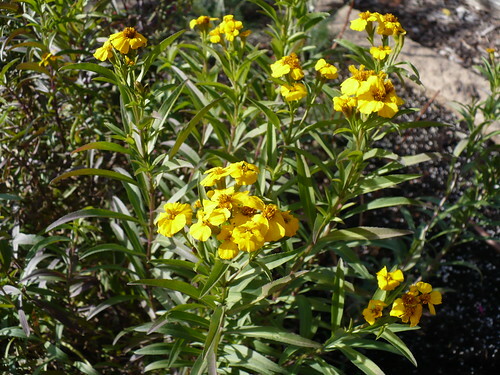 It is mature or nearly mature size and will maintain quality with some protection for at least part of the winter. It is very tolerant to cold temperatures and will be ready to take off and grow when there’s more sunlight and warmer temperatures in late February/early March. With that in mind, I pulled a lot of things out of the garden yesterday. 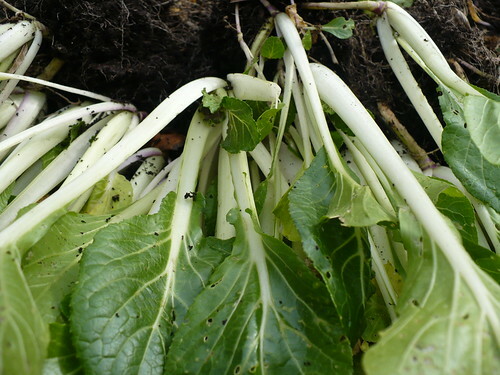 One of the first things to go was the Bok Choy. For various reasons, it didn’t do real well this fall. First, we didn’t thin it out appropriately, so the plants really didn’t have a chance to get sized up. Second, we didn’t work very hard at keeping the flea beetles in check, so the poor crowded plants were further stressed by continual munching of beetles. Lesson learned there! 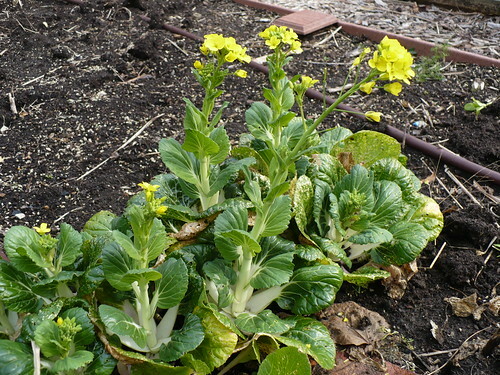 The bok choy is fairly hardy, but it wasn’t very big, wasn’t good quality, and probably wasn’t going to improve. I also pulled out most of the remaining root vegetables because there were very few that were actually sized up. No reason to keep them growing when there’s not that many of them. 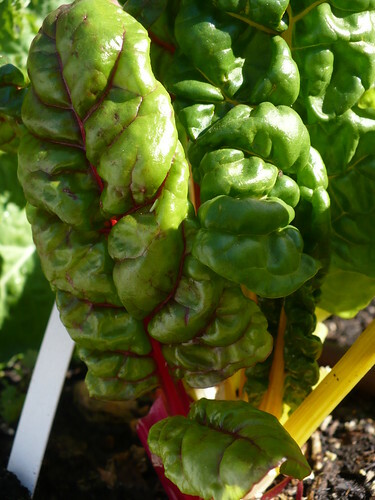 Of course, there’s still a smattering of spinach and lettuce around the garden, but judicious harvesting will be important, since the plants will be very slow to replace any leaves harvested. The radicchio will keep hanging out so it can grow in the spring, as will the leeks and onions. With less happening in the garden, blogging will by much lighter, although I’m hoping to have a couple posts every week. We’ll be checking out the catalogs for new varieties, looking around the neighborhood for some other interesting blogs to read, and updating you about any upcoming classes and events! I hope you stick around for the winter. The weather is definitely getting crisp outside, but most of the plants are loving it! 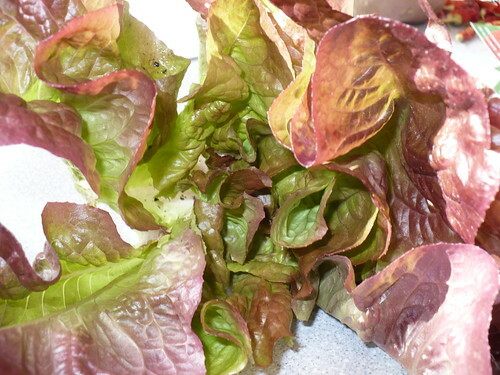 The red lettuces are getting even darker in color and the radicchio is also showing more color. This week’s photoessay might be more appropriately titles “Find the insects in the picture!” You’ll see what I mean. 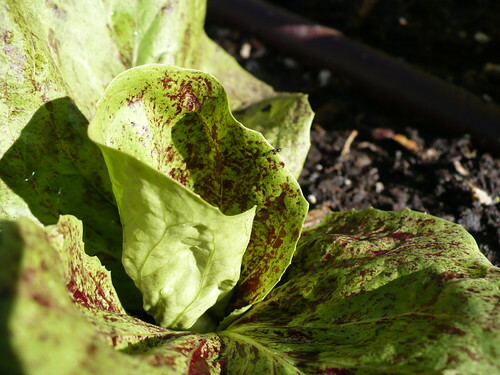 This is a picture of one of the radicchio plants. You can see it is just barely starting to curl in to form a head. It this picture, there is what I think is a flea beetle. This is probably the hardest one to find. I didn’t want to start too easy! 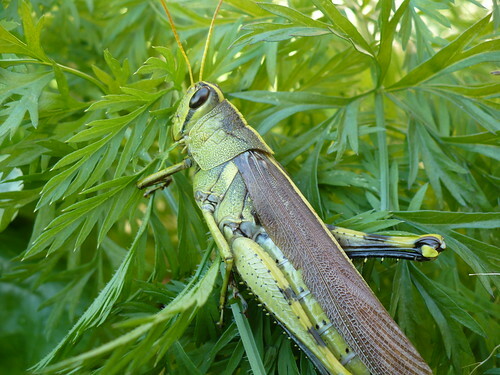 Can you find the grasshopper? Okay, so I decided to give you a break after the radicchio. This big guy is really enjoying the carrot tops. Another fairly easy one. 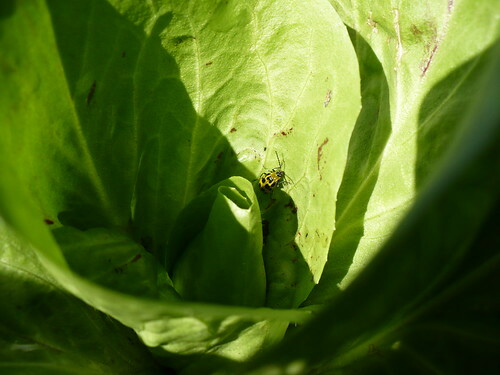 This cucumber beetle is apparently enjoying the radicchio as well. Okay, had to pull out another hard one. 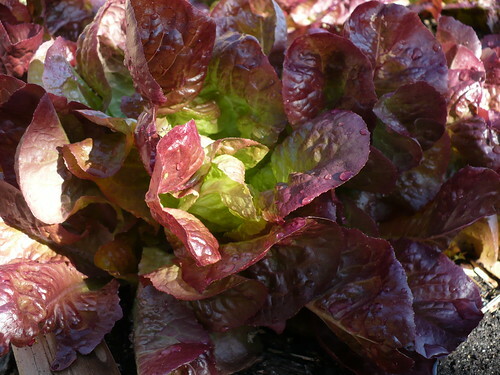 There’s an aphid somewhere on this beautiful red butterhead lettuce. Here’s a hint if you need one. Hmm…what critter could be in this picture? You mean you can’t see it? Okay, so this is a trick picture. To the best of my knowledge, there are no insects crawling around in this picture.